Surgical errors can create a tremendous amount of emotional and physical pain for victims and their families. These errors may include anesthesia errors, accidental incisions, operating on the wrong body part, or using the wrong surgical implements. At Jorgensen Law in San Diego, you can speak to a medical malpractice lawyer with the resources and qualifications you need to seek compensation for your injuries. Our legal team has experience with claims against hospitals and surgeons in California, pursuing a full recovery for victims of anesthesia errors, spinal cord surgery errors, compartment syndrome, and other surgical errors. Our attorneys hold the at-fault parties liable by using proven legal strategies to prove negligence. If you are the victim of medical malpractice, call our law firm at 1-888-855-2948 to discuss your case with a skilled lawyer. Leaving foreign objects in the body – A distracted surgeon may leave objects in the body including forceps, sponges, or other surgical instruments, which you will need another procedure to remove. Using the wrong surgical implements – Each surgical instrument has a unique purpose. Using the wrong implements during a procedure can cause larger incisions and a heightened risk of infection. Performing the wrong procedure – Misdiagnosis and miscommunication can lead to a patient receiving the wrong surgery. Not only will the patient have to heal from unnecessary incisions, but the correct treatment will also be delayed. Making accidental incisions – Sometimes a surgeon is too reckless during a procedure and starts an incision in the wrong spot. Other times the wrong body part may be marked by medical support staff. Operating on the wrong part of the body – Performing surgery on the wrong body part leaves unnecessary incision sites and increases the risk of infection. If no one notices the mistake, it could lead to organ removal or tissue damage. 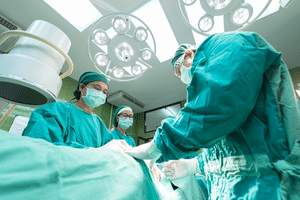 When Is a Surgical Error a Mistake, and When Is It Malpractice? Just because a surgical error has occurred doesn’t mean that anyone is liable for medical malpractice. To be malpractice, the surgical procedure must fall below the accepted medical standard of care and result in physical or emotional harm to the patient. With most surgical errors, it’s easy to determine whether your surgeon’s treatment was substandard. If they violated your standard of care, the crucial element is whether you were harmed as a result of the error. 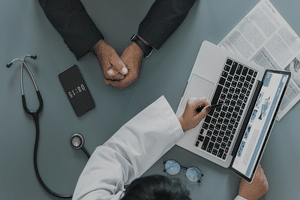 The attorneys at Jorgensen Law in San Diego are here to take the confusion and stress out of claims involving surgical errors. Our team of skilled lawyers thoroughly investigates and evaluates your case to ensure that it’s valid, then handles every aspect of the legal process moving forward. We’ll negotiate with the insurance company and gather evidence for your case so you can simply focus on getting well. We have years of experience securing settlements and winning jury verdicts for your injuries. If you or a loved one has been the victim of a surgical error, contact the legal team at Jorgensen Law by calling 1-888-855-2948 or filling out our online form to schedule a case evaluation. We’ll relentlessly pursue the compensation you deserve to recover from your medical trials.